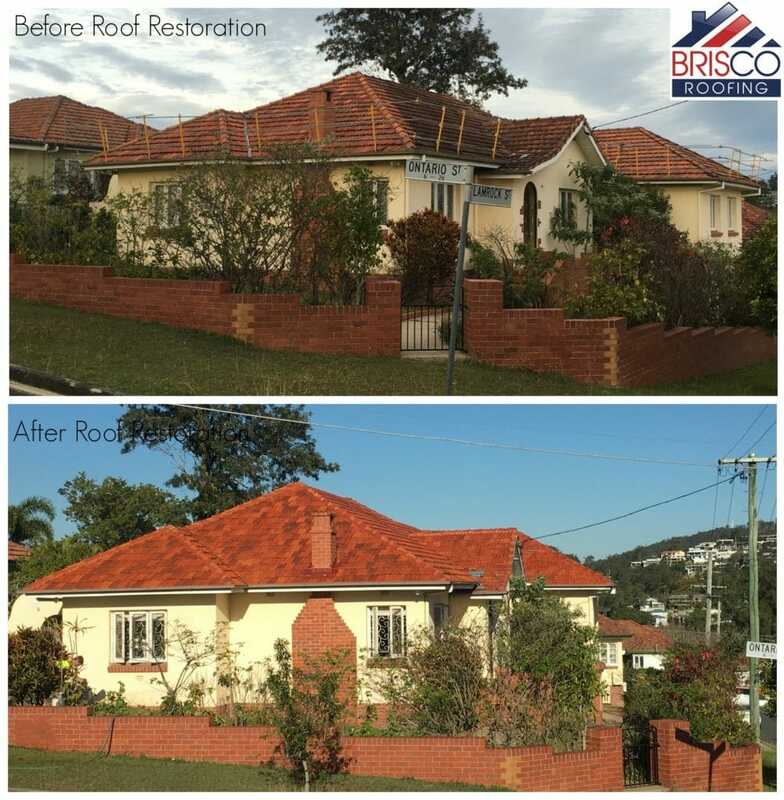 Brisco Roofing offers a premium service for Terracotta Roof Restoration in Brisbane. Terracotta roof tiles are known for their long lasting strength and durability. 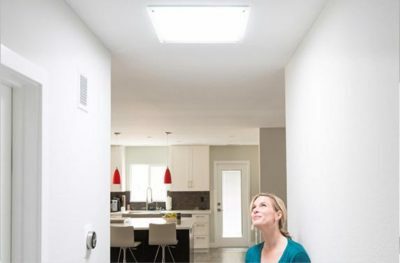 They are also ideal for Queensland’s extreme heat as terracotta roofing is slow to absorb heat, and allow the roof to breathe, in term keeping your home cooler for longer. Terracotta has been used for almost six thousand years. Recently The Terracotta Army was uncovered in China immaculately preserved and found to be over 2000 years old. Terracotta maintains a consistent temperature in your home keeping your home warmer in winter cooler in summer, lowering your energy bills. 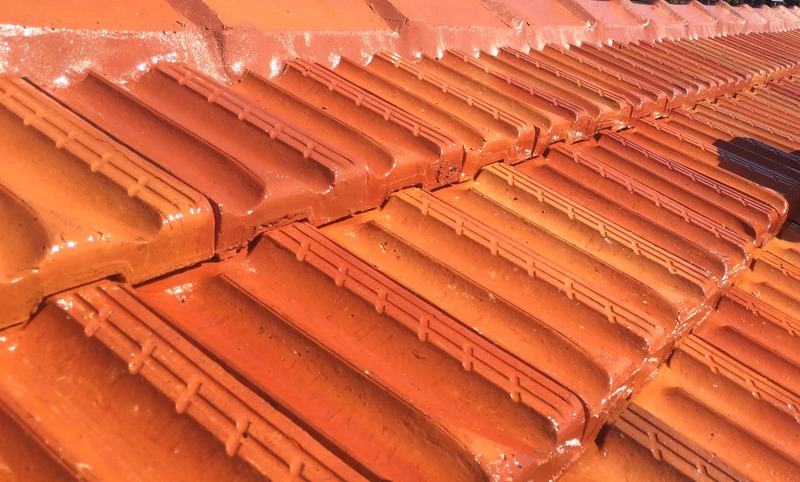 Terracotta roof tiles are made from naturally occurring clays, which means the water running off your roof into rainwater tanks is clean and safe to drink. One of the most appealing traits of a terracotta tiled roof, besides its beauty and strength, is the tiles will never fade! Your roof, with terracotta roof restoration and proper maintenance, will look like new for many decades to come. Over many years a terracotta roof will begin to show a build up of dirt, moss, and lichen. 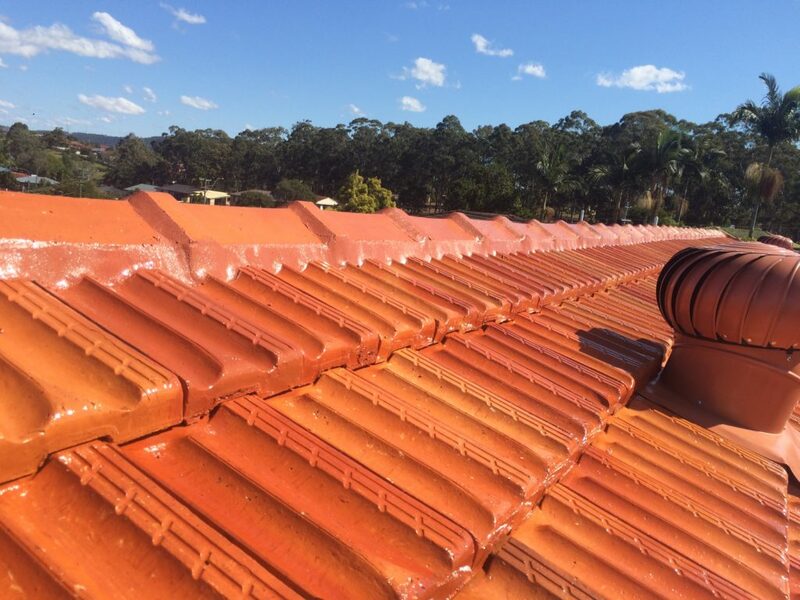 Brisco can help bring the beauty back to your roof with a terracotta roof restoration specifically designed for terracotta roofs in Brisbane. Firstly all broken tiles are changed. We then apply a mould shield coating to your roof to kill any moss, mould and lichen build up. 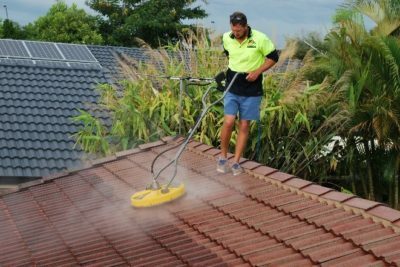 Once this product has treated your roof it will be cleaning at 3500 – 4000 PSI of water pressure, blasting off all dirt and build up that has accumulated over the years. Your ridge capping will then be re-bed where required using a sand cement mix. Your old mortar will be removed and disposed of. All ridge capping will then be re-pointed using terracotta coloured West-Flex Flexible Pointing. Weep holes will then be inserted, this is to prevent water build up under the ridges. 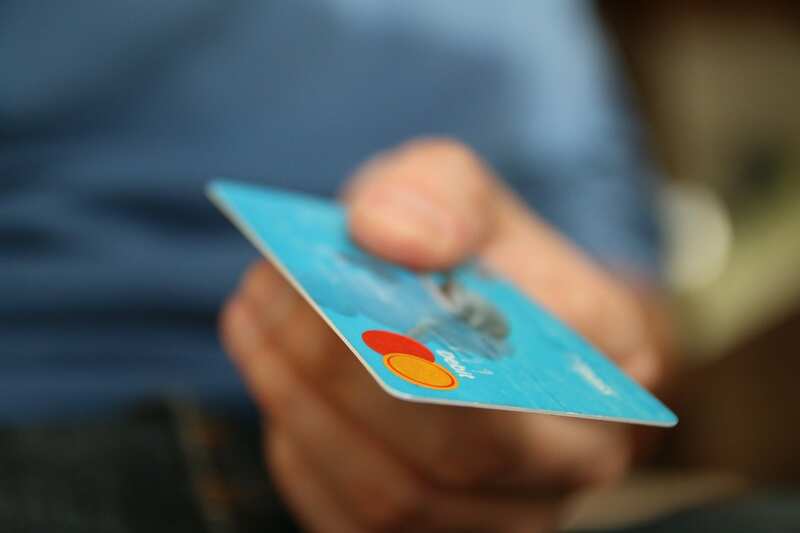 De-dagging will be done to remove the small pieces created from the de-dagging process. Then a thick coat of a solvent based Terracotta glaze will then be applied, giving your roof a stunning finish. The finished product will be a stunning terracotta roof that will stand strong for many years to come. Terracotta tiles are now available in a range of colours and profiles to suit all styles of homes.